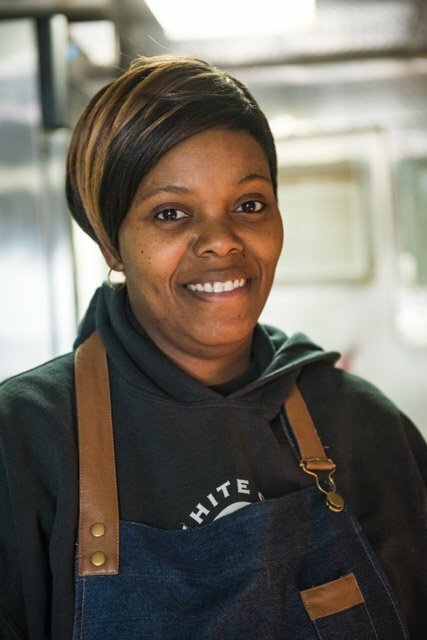 Meet Lashona Butler, the Dining Pavilion and Food Truck Manager. Shona keeping track of pavilion records. Other than a brief employment at Dollar General, Lashona has always worked in the culinary field. 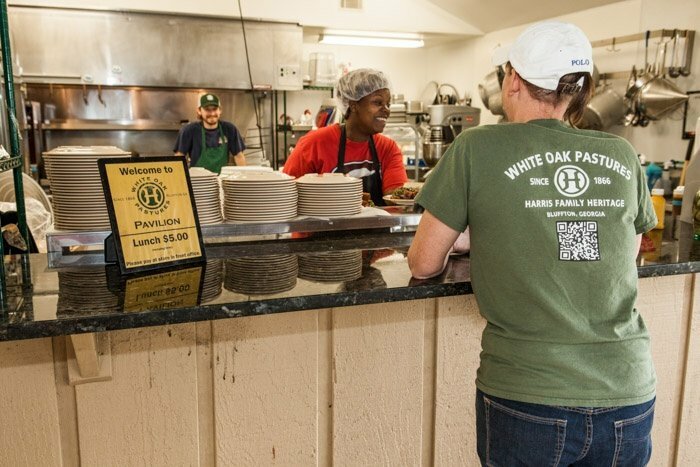 Lashona’s previous employer, Evelyn Taylor, called her to visit White Oak Pastures because White Oak Pastures was building a kitchen to serve the employees lunch. Lashona and Evelyn had worked together at the local grocery store, Dollar General, and now at White Oak Pastures for a total of fifteen years. At that time, she and Evelyn were the only ones working at the Pavilion and were only serving the employees through a buffet line. 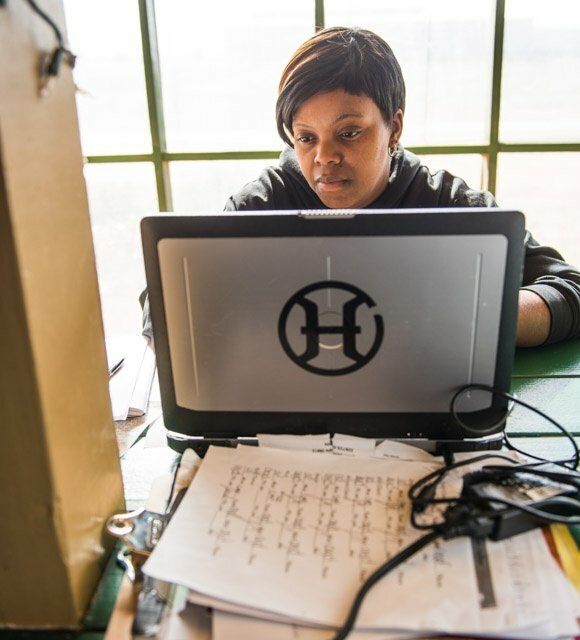 Lashona has seen the building of our egg room, where she worked for a period of time, and also watched as our Internet Fulfillment Center, where our products are housed until they are shipped, was built. 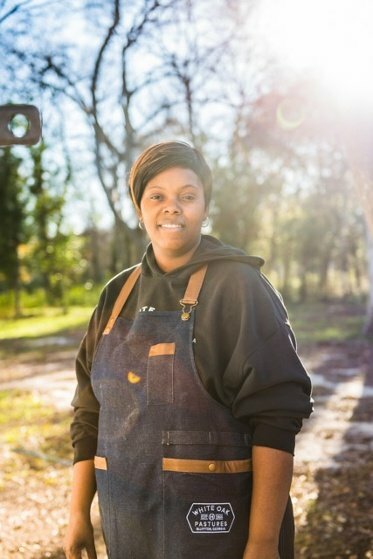 Looking back on her time in the egg room, Lashona said “I can appreciate working with our eggs because I know what it takes to get the eggs to look like they do.” She has also collected eggs, worked at the chicken plant during the holidays, helped make tallow soap, and has rolled our cow hides for pet chews. Shona manages a diverse crew across two different locations. Shona's organization, leadership and teaching skills have been invaluable to White Oak Pastures since 2012. Shona has worked in several departments here at White Oak Pastures but luckily came back to the kitchen. As hard as Lashona works, you wouldn’t think she has time for much outside of work, but that is the farthest from the truth! When asked what her hobbies are, she replied, “Well, having three amazing boys, Treshawn Johnson, Rae’shawn Clyde, and Dre’shawn Clyde, I would have to say SWGA Wolfpack Football and Calhoun County Basketball.” When the parents were asked to practice football with the team, Lashona was right there in the middle of them. Her son’s teammates didn’t believe that their mama played football in high school….until she tackled them! Her son told her one of his teammates looked at him and said “your mama hits HARD.” And this proud mama isn’t too shy to run down the sidelines as her son carries the football down the field, either! Don’t think that she gets out of the kitchen for long, though. Guess who is called on to cook for the teams, and by “teams”, I mean the football, basketball, and baseball team! And not only does she cook for them, she helps coach, as well. 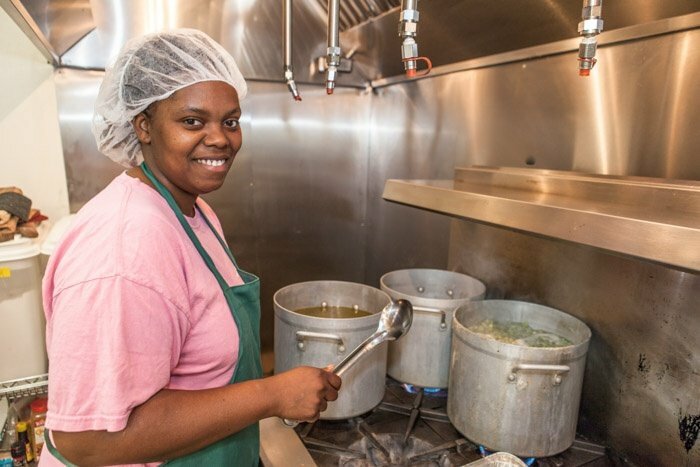 Lashona is the “lucky” one that is asked to cook because she is an amazing cook, knows how to cook for a large group of people, and has a “service” heart. The heart to willingly and lovingly serve others. I am sure her fiance`, William Clyde, of six years, together ten is there to help and support this “Wonder Woman”! I also suspect that Lashona runs a tight ship with her three boys, 15-year-old Treshawn and 9 year-old twins Rae’Shawn and Dre’Shawn, while nurturing, teaching, advising, and encouraging them. She would have to with them all involved in sports and Dre’Shawn as a National Mathematics Competitor. We certainly know where their athletic and intellectual gifts come from, and Lashona is certainly doing something right! Lashona does like to have a little fun away from home and states one of the funniest things at White Oak Pastures was “the hidden dance moves of the White Oak Pastures Employee- Family at the annual Christmas Party. We shared some amazing laughs!” I, myself, shudder to think I may have provoked some of those laughs.